The Class A Lakewood BlueClaws missed clinching the first half division title in the Sally League by mere percentage points in the Northern Division standings. Team skipper Marty Malloy took time last week to sit down with me and chat about his team's success and commented on several of the Claws' key players, including first baseman Darick Hall, last year's top overall draft pick Mickey Moniak, outstanding reliever Will Hibbs, who was promoted to Clearwater since this interview, well regarded righty pitching prospect Sixto Sanchez and others. -Darick Hall missed a few weeks early in the season with an ankle injury and leads the league in RBI despite missing so many games. What sort of difference has he made for the team? I mean he's had a big impact. Obviously, hitting in the four hole every day, it doesn't matter right-handed pitching, left-handed pitching, he gives us a big presence in the middle of the order behind Moniak driving in runs. He lengthens our lineup, so he's been a big impact. -Third baseman Luke Williams had a troublesome start to the season, batting .123 in April, but now he's batting well over .300 in June. Can you talk about his turnaround? I think, you know, it can be a confidence thing. He got off to a slow start. Whether it was pitch selection or sometimes he hit balls hard right at people, things may just not have went his way. But, he's been hot of late. I think a lot of that has to do with confidence and staying the course and understanding that it is a process and just staying positive everyday. -You mentioned Moniak earlier. Have you seen improvements in his game this season? Absolutely. You know, I've said it all along, for a kid that just turned 19 a few weeks ago, coming out of high school, being in a full season for the first time, facing-- the majority of pitchers that he's facing are college guys, to hit in the three hole every day and see things he hasn't seen before, he's really held his own. He's been the same guy everyday, comes to play everyday and his defense has been really good. And nothing but good things to come. 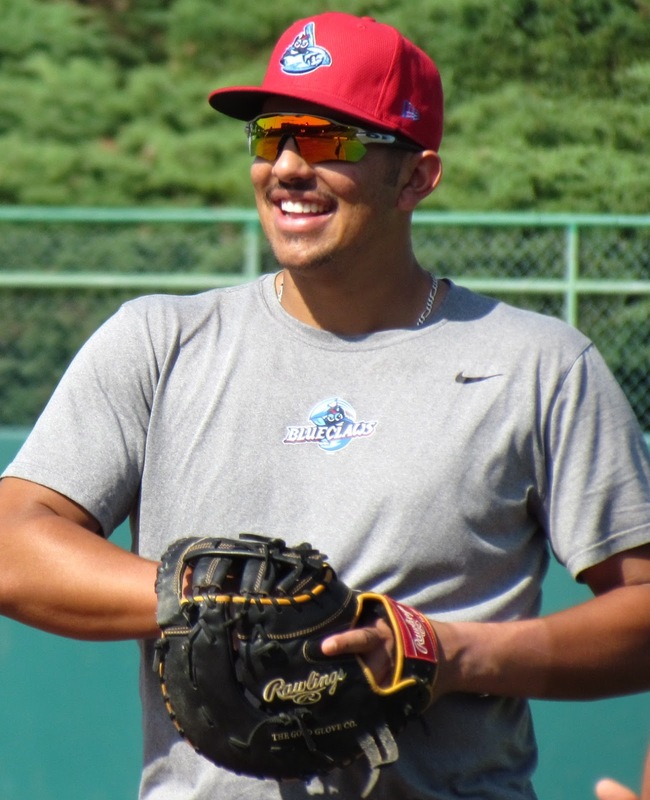 -Another guy in the outfield that's been performing well lately is David Martinelli. What have you seen from him? I think he's similar to Luke Williams. Got off to a slow start. May not have played everyday, but stayed positive through the good and the bad and, you know, thing started going his way. He started barrelling some balls and, you know, his power numbers have increased as well. So, I think he's another one that just confidence and playing games, getting better everyday and just understanding how to go about it. -Is there anyone else that you can see a lot of development in his game over the past couple months here? 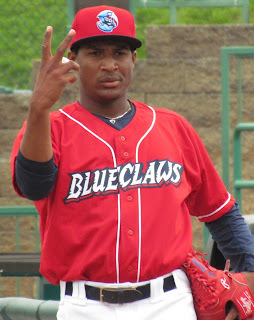 I think (second baseman Daniel) Brito. He got off to a really, really hot start and he's been having to learn to make some adjustments. His numbers don't indicate what he's met to this team and how far he's come. He's hitting lead-off everyday. He's learning how to be a lead-off hitter and we're giving him things to think about as far as once the first at bat of the game's over, how to do different things like see pitches, get in counts and what not. But he's gonna be fine. He's had a couple weeks where it's been a little tough on him and (there's been) adversity on a young kid, but he's fine. -Brito seems like a good guy for the team. Having a lot of fun, keeping things loose in the dugout and everything. Do you see that from him and is there anybody else on the team like that? He's the loose guy. He's the class clown, if you want to say it. But, he keeps loose and has a smile on his face and keeps guys upbeat, so he's really good in the clubhouse. -Sixto Sanchez returned from injury after missing a month. What does he mean to the club. The energy means a lot. He's another guy, a loose guy-- he's a business guy, but always has a smile on his face. He brings electricity. Everybody knows what kind of stuff he has and the sky is the limit for him. When he takes the mound all these kids know what we're going to get that night and it's good for everybody. -Will Hibbs has been really great out of the bullpen for this team. Can you share some insight on him? I think some of it has to do with he's been through some things before. He's a little older, but he knows how to pitch. He knows how to expose hitters. You know, he has meetings with (pitching coach Brian) Sweeney as well as these other pitchers and he's really taken into that on these opposing players and learning how to get them out and set them up or whatever it may be. Except for one outing-- he went 32 scoreless (consecutive innings), so it's been really nice. Malloy also talked to me about left-handed starting pitcher Nick Fanti...read those quotes in the feature located at this link.